Will You Join Us in Destroying These 3 Webinar Myths? 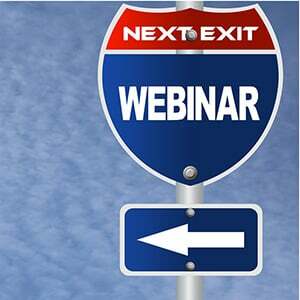 All demand generation webinars are not created equal. Some really inform, inspire, and yield positive commercial outcomes while delighting their audiences. Others are covert sales pitches that simply don’t connect and are boring. To me, webinars are a high art form of content marketing because they can breathe life into static content such as research reports, case studies, and white papers. Done right, they are very effective at raising your brand awareness and thought leadership while driving fresh new sales leads. Today, attracting new prospects to a webinar is the number one challenge. In the past, mild curiosity would attract an audience. This is not so today. If the topic isn’t genuinely going to educate prospects, inform them about solving a pressing issue, or teach them to achieve better business outcomes, they’ll ignore your invite. And, if your content is perceived as a “nice to have” instead of a “must have” , chances are your prospects will not only ignore your email, they’ll delete it or even unsubscribe from your list. Just having a large well-known brand isn’t enough anymore to guarantee you‘ll attract an audience. On the other hand, we’ve seen small regional firms blow the doors off with high registrations, landing page conversions, and attendance, all because they had something timely that addressed what the market was interested in. Even if you are a presentation goddess, the virtual world is a very different medium than a live, in-person event, and requires a totally different communication style and audio strategy. Think of a webinar as being like a radio show, but with pictures. Dead air and awkward silences will kill a radio show – your webinar is no different. Your job is to use your passion and that of your other speakers to inspire and engage your audience, or they will quickly become distracted and start checking their email or browsing their social media platforms. When you’re working on a presentation, don’t overlook the importance of good audio. Audio is the Achilles heel of all virtual events – failing to taking the time do several sound checks and make sure you and your other speakers are optimally “miked”, have fast enough internet connections to mitigate latency issues or echoes is something you can’t wing. During the live webinar, if the audio quality is poor and they can’t hear you clearly, they won’t be able to connect with you. If your slides aren’t visually appealing, you also risk losing your audience. Being prepared lets you’re audience know you value their time. As a result, they will be open to hearing what you and your speakers have to say. If your message connects, they’ll be more willing to talk with you after the webinar, which is one of the most desirable outcomes from doing the webinar in the first place. Remember, be authentic and don’t worry about perfection. It’s about connection. One of the most common themes I heard over and over at last year’s 2013 Content Marketing World Conference (where I spoke on creating a thought leadership webinar series), was the fact that 70% of today’s B2B buyers prefer to do their research online before they want to speak with a live salesperson. This is another fallacy that can create unrealistic expectations and disappointments up and down the organization sponsoring the webinar. The same goes for many of the people who register and attend your webinar. They are in various stages of the buying cycle, and mostly looking to get better educated and informed. They aren’t necessarily willing to speak with you after the webinar, let alone ready to commit to a purchase. Develop a strategy for capturing intelligence across the webinar lifecycle so you can segment leads and identify which are sales ready, not qualified, or those that are ripe for nurturing via content marketing. 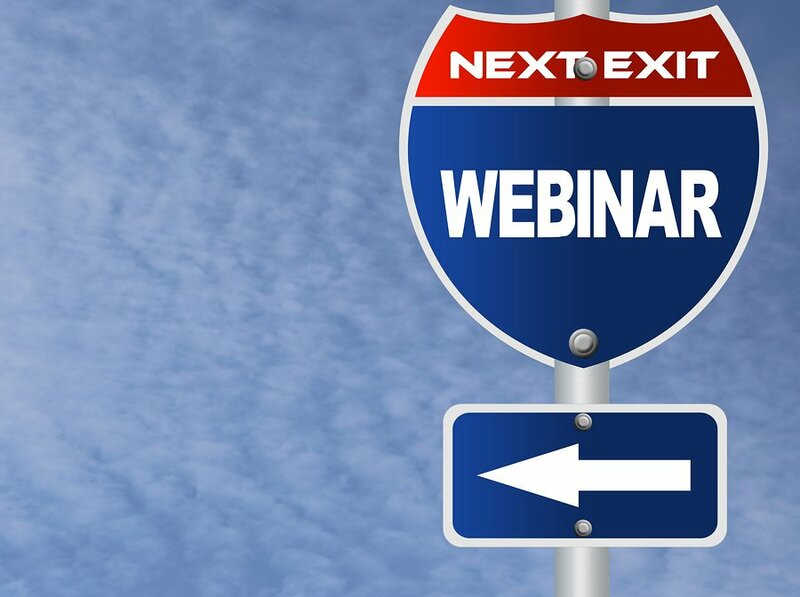 Knowing and understanding these 3 myths will help your organization plan and execute webinars that meet or exceed your commercial outcomes, while delighting your audiences. Done right, you’ll be able to convert more prospects to advocates and customers. Here’s to your webinar success! For more advice and best practices so you can host more successful webinars, get my Citrix sponsored ebook: “Webinar Ready: A Step by Step Guide to Hosting Successful Webinars.” It’s free, click here to download now. Mike Agron is the executive webinar producer and co-founder of WebAttract, which provides professional and training services for marketing professionals who want to excel at using webinars for achieving their demand generation goals. He is an award-winning author, frequent guest speaker on webinar demand generation best practices for the American Marketing Association and Content Marketing Institute, and lead instructor for WebAttract’s Master Webinar Producer Training Course.